Little recruited help from The Ranch at Rock Creek and our staff of avid fishermen. 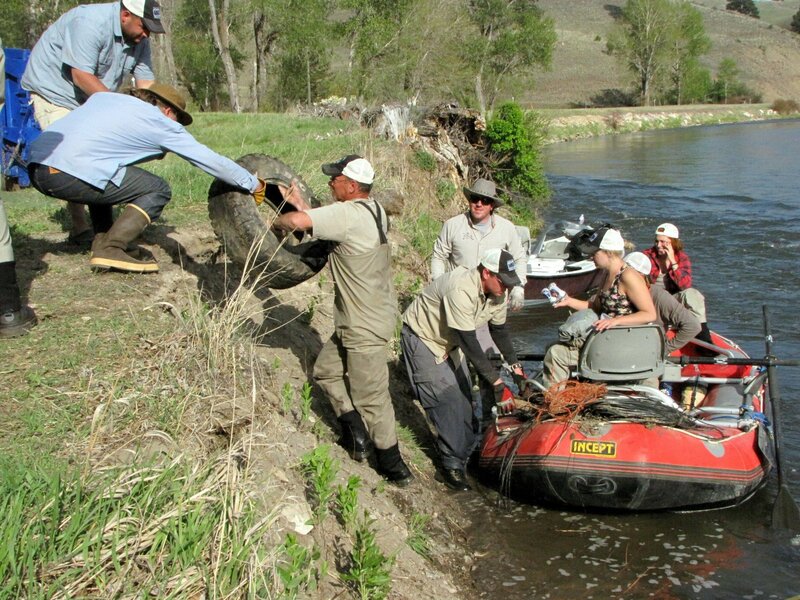 Employees from The Ranch volunteered their rafts and hands on their days off to join the effort. 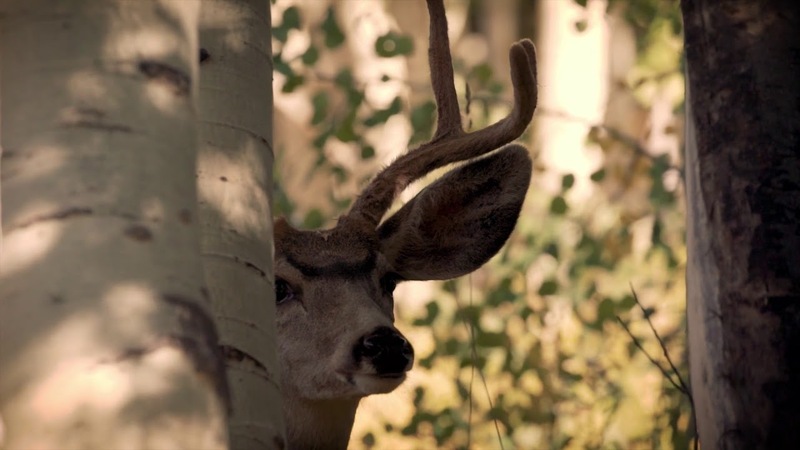 Next, he called the Clark Fork Coalition and asked if they would be interested in partnering with The Ranch to cleanup the area extending 11 miles to the Northwest of Drummond. 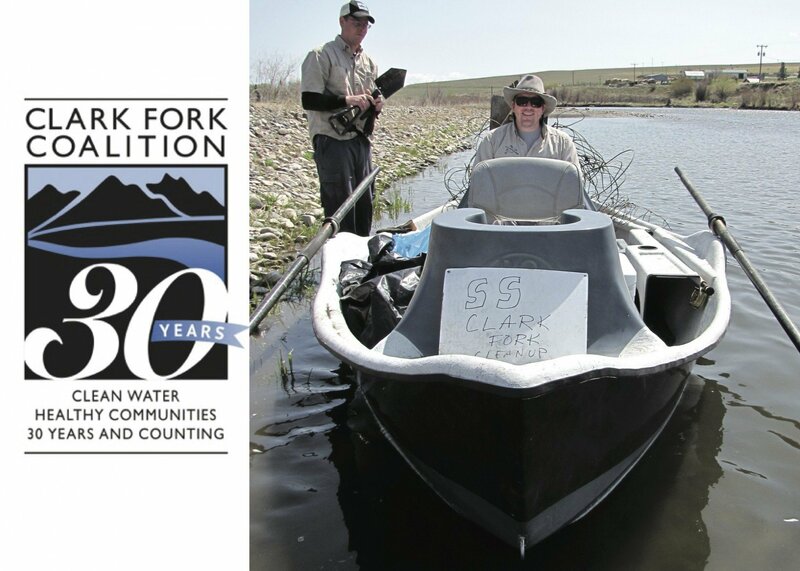 The Clark Fork Coalition has worked to protect and restore the Clark Fork basin in Western Montana and Northern Idaho over the past 30 years. They were happy to join forces. 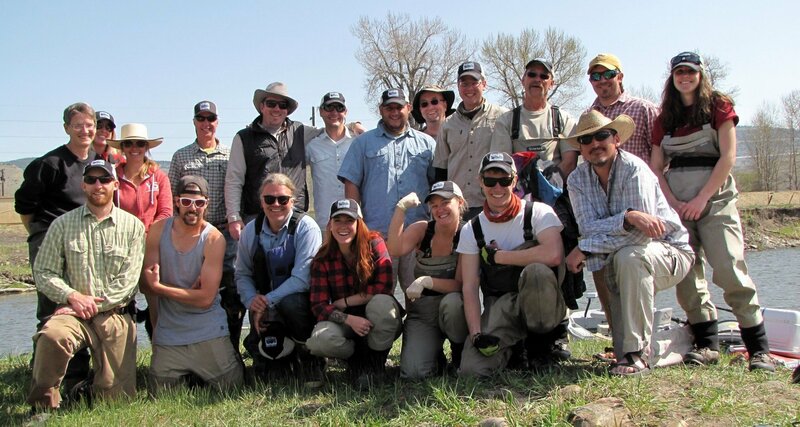 They worked with local landowners to get riverbank access and provided trash pickup and tools, as well as volunteers. 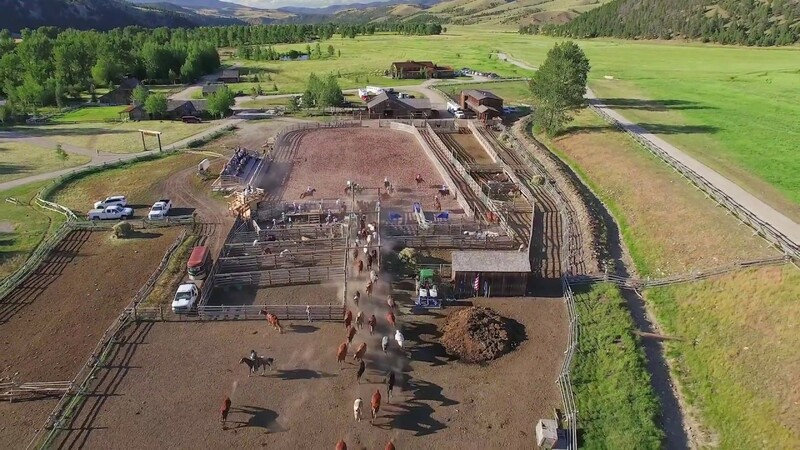 Local business, The Philipsburg Brewing Company also supported the effort. 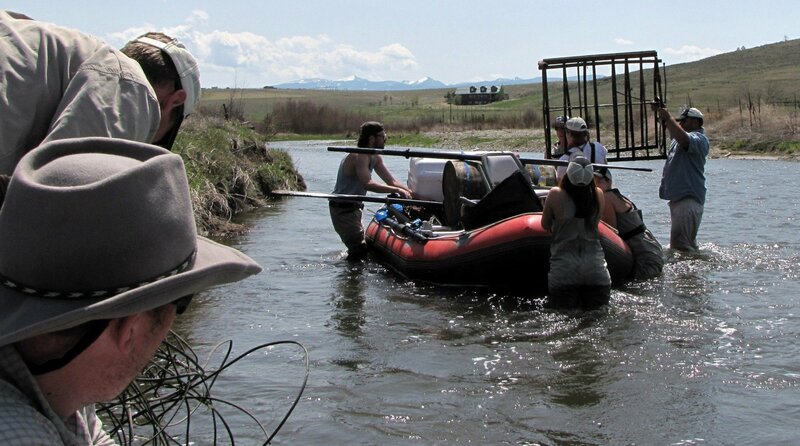 On the morning of Monday, May 4th, 19 people from the three organizations (and Flint the Ranch Pup—pictured below) teamed up to improve the sustainability of the river. 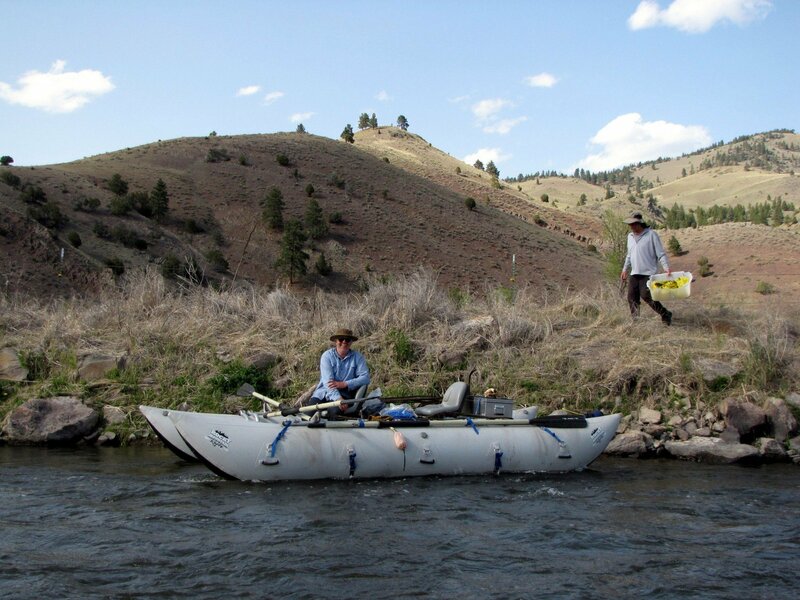 The Ranch employees provided five boats that could carry the trash downstream to the pickup site. 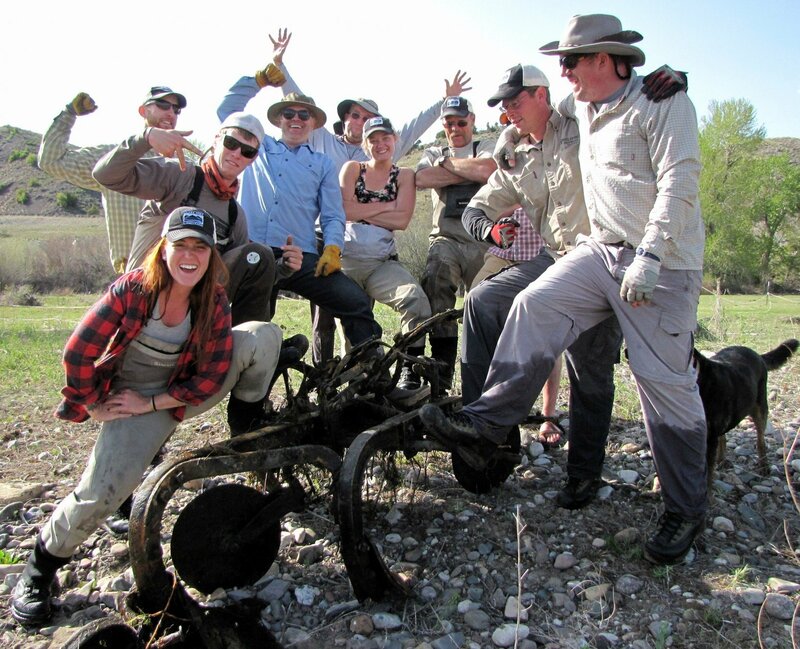 They removed tires, clothing, wrappers and even an old plow from the river bed. 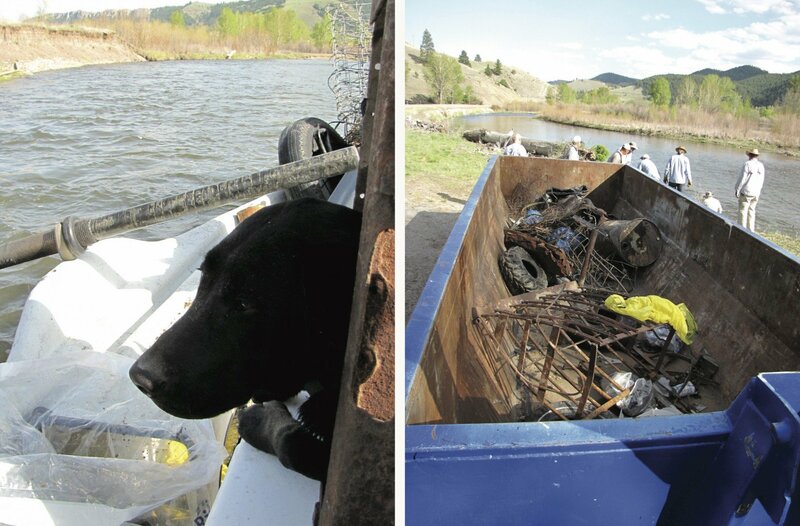 All told, the crew cleaned two tons of trash from the river. Chef Drage and Sous Chef Ben Miller provided lunch for the volunteer workers, who spent nearly six hours on the river. 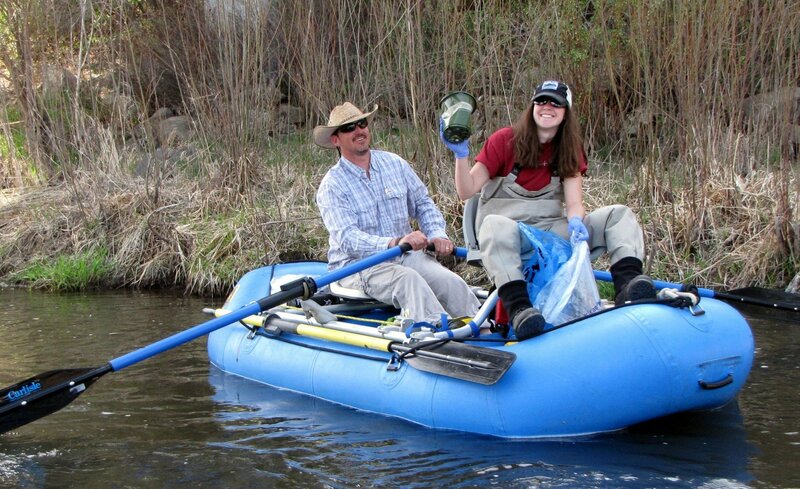 This was the first time The Ranch volunteers had worked directly with the Clark Fork Coalition to keep the waterways clean and safe. The initiative continues over the next month. 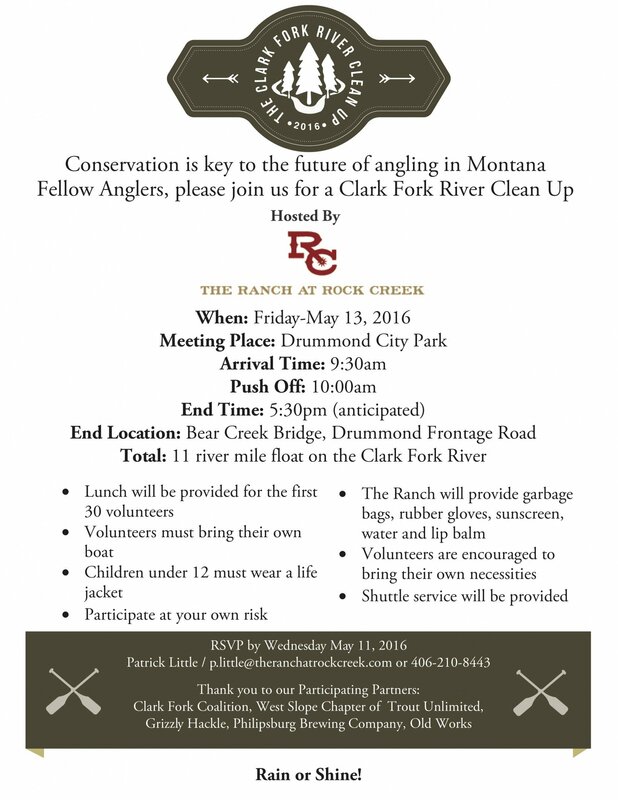 First, there will be a cleanup day on Friday, May 22nd in the Bearmouth Area with the Clark Fork Coalition. On Thursday, June 18th, The Philipsburg Brewing Company will host a Charity Pint Night to raise money for future cleanups. 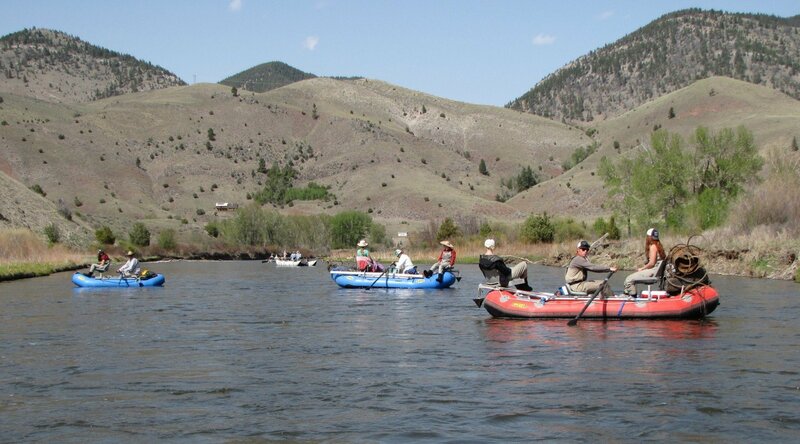 Little would like to develop the cleanup effort to include the whole section from Garrison Junction to lower Rock Creek, where our namesake creek drains into the Clark Fork. This stretch covers over 40 miles of riverbank. 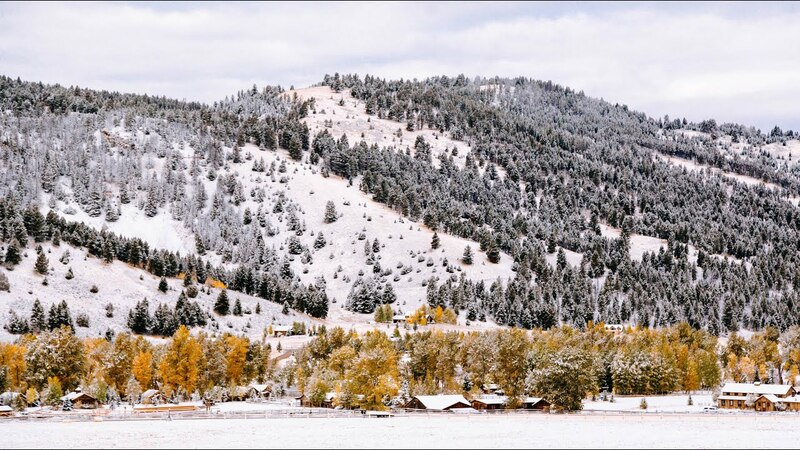 Pictures provided by the Clark Fork Coalition. Join our 2016 effort on Friday, May 13th! RSVP by May 11th to get a free lunch. More details below.